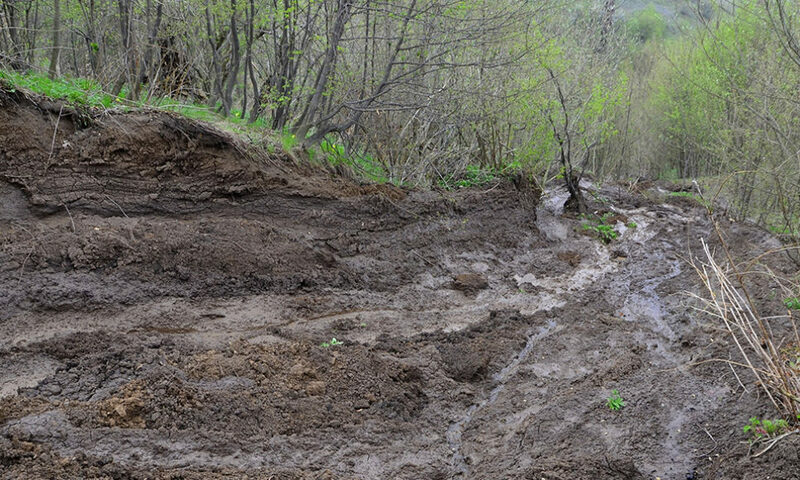 Quite often we read that a mudslide has damaged homes. Or, families were evacuated from their homes because of a flood. Or, a group of homes has big cracks in the foundations and walls because the soil subsided. These are all commonplace examples of damage created when the land use practice was not properly matched with the soil type. Not all soils are suitable for agriculture. Not all soils are suitable for building homes, roads, and factories. Soils have characteristics that may limit their land uses. For example, some soils are rocky. This makes crop farming difficult. Other soils have a low permeability (they do not let water move through easily) and are poorly drained. Water frequently remains on the surface of such soils for extended periods. Houses should not be built on such soils. Still other soils are sandy and well drained and these would make a poor bottom for a pond or reservoir. It should be the goal of a land use planner, engineer, landowner, or developer to match the use of the land with the soil type. An important reference in helping to make such decisions on land use is the soil survey. Published by the USDA Natural Resources Conservation Service, soils surveys exist for each county. Soil surveys contain aerial photograph maps of the entire county indicating all soil types. In addition, the different soils types are described in detail. Charts in the soil survey report provide data for suitability of soils for various uses including building site development, sanitary facilities, farming, woodland, etc. Local offices of the County Conservation District have soil surveys and maps available. These graphics illustrate simplified soils maps. Soils and USDA NRCS and NSTA Dig In!